A Beyond Calligraphy reader and fellow artist wrote to me asking a simple question. “How do I price my artwork?” Fortunately he could not hear my interior groan. It isn’t that I am disinclined to help others based upon my experiences. Quite the contrary, I believe that there aren’t secrets, or there should not be secrets in the art world. Conversations are important. Google doesn’t have all the answers. That is my personal opinion. Each person can choose what to share with others. For this fellow artist, I knew that I could not give a simple answer. I could write many things which are some indicators as I see them to take into consideration when deciding on pricing, but in the end, it is up to each artist to decide how much to charge for their work no matter the medium. Before proceeding to write about pricing of original, unique artwork, I need to be sure that the reader understands that I am only writing about work of which there is only one. In spite of the titles of many online companies which use “Fine Art” or similar words, I am not speaking of reproductions of an original work be they cards or canvases or coffee cups or T-shirts. 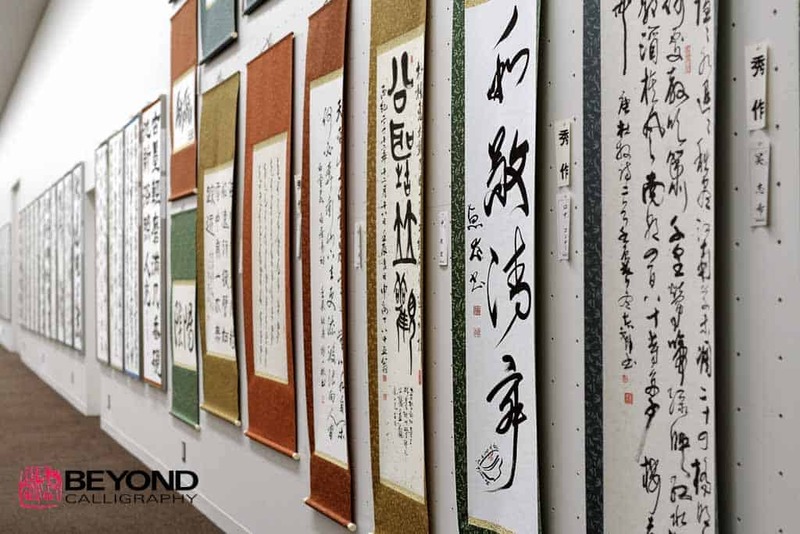 Personally I have never been impressed with the inexpensive reproductions of artwork available in the areas of calligraphy and sumi-e or any other reproduction techniques. Practically speaking, being an artist (writer, actor etc.) is a very difficult life. There are, percentage wise, few professional artists who are able to make a living from their art alone. Often a day job helps to support the real work, ones art. And there is no one manual to buy for guidance. What my friend was asking was certainly not an unreasonable question. But I am sure that my answers frustrated him or did not satisfy him. Whatever prices are decided upon, the goal is to make a living solely from ones art. Some things to consider when pricing your work are how long you have been practicing/doing your art, what exhibitions you have been selected for, what museums or corporate collections have purchased from you, what is your education, who has written reviews about your work. In other words, all of the preceding should be able to found on your resume. And you should always have a resume at the ready for an inquiry. You might try to compare prices of artwork which you think are done by artists similar to you in experience. Use their resumes and yours as a guide. How much has your work sold for in the past. How do you match up with those people. But this can be misleading. Some artists prefer to keep their work low, thinking that they will sell more. I do not think this is the case. People will pay what is within their budget. If the price is too low, collectors will wonder what is wrong with it or that you are a hobbyist. When you are just beginning to plan or sell your work, you should have a working plan which isn’t very different from the so called 5 Year Plan for any business. The borders are a bit different, and it is a tall order, but just guessing will not help you achieve your goal. If you sell anything, you should be keeping accurate records for purposes of taxes. And most important is to know all of the costs associated with doing your work. Some artists use the following method. Take the cost of your materials and the number of hours used to create a work, assign yourself a salary per hour, do the math and that’s your price. There are many caveats, of course. For starters, no artist punches a clock. Cost of materials takes into account your “overhead”, the costs of having a studio, utilities, business cards, the list is endless. Many artists like myself work on several things at once so as to not get stale. And some artists will work on a painting over many years until they deem it worthy of their signature. We are not lawyers with records of billable hours. You also need to learn, if you do not already know, about good record-keeping, cash disbursements and cash receipts (what you sold). You need this for purposes of taxes as well. In the United States, as a professional artist, you are allowed to have three years of a loss before the making a profit requirement begins for the next two years. Even so, if you still have a loss but can prove that you are a professional artist, likely you can take a loss. When, in the future, your income increases, the loss eventually gets “removed”. One can ask whatever one wants for a work of art. Any work is worth what people are willing to pay. I recommend leaning toward a higher price because you may have a sales commission involved. I give a 10% discount to collectors, that is collectors of my own work, those who have purchased before. As an artist, you should try to assess your own work and see how measures it up price-wise against others who are far more well known. Of course this is difficult because most websites do not list prices but rather P.O.R. (price on request). 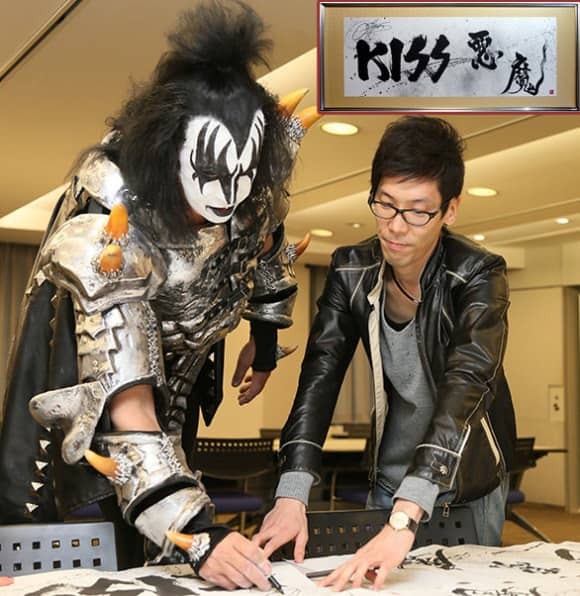 Below is one example of known prices, and they are a result of the calligrapher collaborating with KISS. This is an unusual circumstance. While the work is catchy, (and I do not think the price is “second mortgage” category), the question a buyer must ask themselves is will they still like it or love it in the future. Larry Poons and some other artists used to figure out prices of their work based upon square inches which both amused me and impressed me. His work is large/huge, and this seemed like an equalizing technique without emotional attachment to any one piece over another. I am now leaning toward publishing prices on my new, under construction website. The reason is simple. Just as artists have difficulty pricing their work, collectors usually have no idea what an artist’s work sells for. Being clear at the outset avoids discomfort for the collector who desires a work but does not have the budget for it. One artist who has his own gallery does not have the same price for an artwork if he sells from his gallery versus selling by another gallery or consultant. I disagree with this way of selling. With the advent of the internet, one’s prices should be the same around the world. Most galleries take a 50% commission. Often there is an additional 10% if a consultant buys from the gallery. That may be split between artist and gallery. So the artist ends up with 45% of the retail price of the artwork. Of course, the buyer could sell the work for more than she paid. She/he owns the work after the sale. But when the artist has his own gallery, he is both artist and gallery seller. Thus, he keeps 100% of retail. Before anyone shakes their head in disbelief about the 50%, I think there are circumstances when this is the norm, and it is reasonable. It is not the horrible arrangement many people think upon first hearing about it. This is usually the way it works unless the artist makes his or her own special contract/arrangement. If a gallery will sincerely promote your work by giving you a solo exhibition on a regular basis complete with all possible ways to bring in clients and paying for publicity etc. (yes, they are a business, and they want to sell), this is not bad. What is not up front is to have people see your work in the gallery, then come to your studio expecting a discount, even 50%. They are in your studio because of your show in the gallery. On the other hand, some galleries used to ask for a commission on everything you sold, whether to your friends or not. It is shaky territory to navigate. You can simply say no to this arrangement unless you think it is “fair”. I bristle at the very suggestion. Forget about those prices published by Sotheby’s with contemporary art selling in the millions. If you are in that category, you have no trouble setting prices and are working with others to do so. Just remember that a very tiny percentage of artists are in this category, and do not despair. If you have actually read this far, I am happy, but you may be less so or at least have noticed the conclusion. I have not answered the question of how to price your artwork. I hope that I have given you some guidelines. The basic answer is, it depends. Comments and opinions warmly welcomed. ← Find Out How Sumi (Ink Sticks) Are Created in Japan. Books on negotiations, costing and pricing can be very helpful.Basic costing is very simple.Your local accountant may also be of some help. Thanks Suresh. While there is information and books on industry standards for some things,, such as when someone wants to use your work for something other than buying it, I have not found books on pricing to be helpful in any detailed way. I am confused about your recommendation of using a local accountant to advise on pricing. Could you please tell us more.